Do you like lamb? I’ve found that lots of people I know don’t like lamb. Although, I would definitely choose a fish dish over lamb chops at a restaurant, I actually crave this stew at least once a month in the winter and spring. The tang from the olives and the sweet, roastyness from the red bells perfectly compliment the slightly gamey shredded lamb. Mmmmm. Before I was glutenless, I would serve this with Israeli couscous and a side salad. Now, the gluten free Barilla penne will have to do. In a large Dutch oven, heat 2 TBS oil until shimmering. Season lamb with salt and pepper and add to pan in batches. Do not over crowd. You want to wear all sides to a pretty golden brown. Remove to a plate and continue until all the lamb is browned. Shred the lamb. Add the cornstarch slurry and bring to a boil on the stovetop to thicken (stir, stir, stir). Add olives, pepper and any addition salt and/or pepper to taste. Serve over favorite noodles or Israeli couscous. Sprinkle with parsley. It is so chilly on the West coast (I know, 49 degrees is not cold but I have never had “snow days” so I can complain about needing to wear a scarf and gloves). 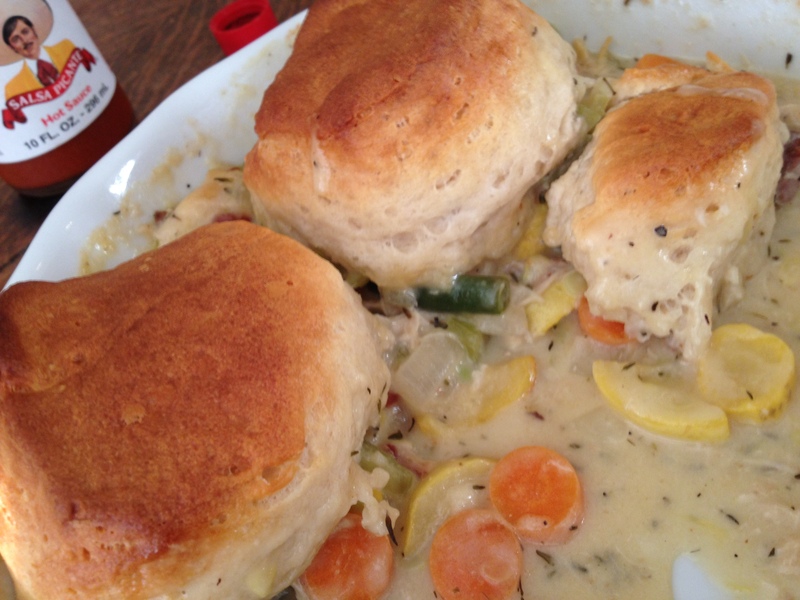 Nothing warms me better than comfort food – mmm, mashed potatoes, potpies, biscuits and gravy, stews. I’m already starting to feel my toes warm up just thinking about publishing this post. 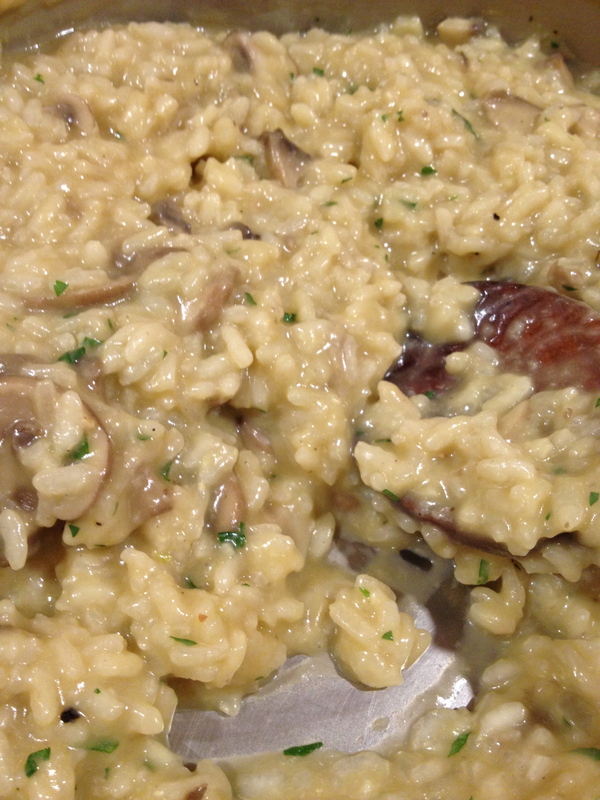 Papa was in the mood for mushroom risotto for his birthday so…I took on the challenge. I’ve made risotto once before so I knew there was going to be a lot of stirring. 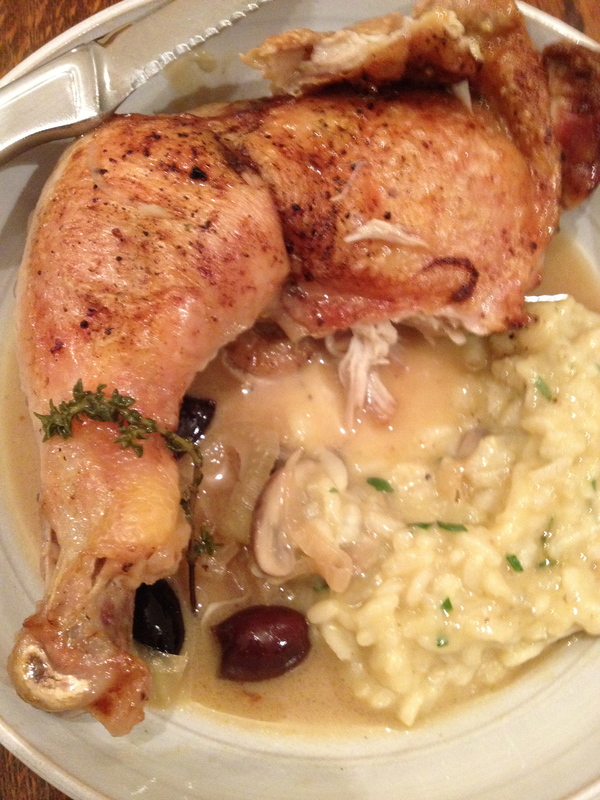 Nana helped though and we paired it with a very easy braised chicken. Salt and pepper the chicken legs. Heat up an ovenproof skillet over medium high heat. Add olive oil and the chicken legs skin side down. Cook for a couple minutes until the skin has browned. Turn over and sear on the other side. Remove the chicken from the pan. Reduce the heat to medium low and add the fennel and onion to the pan. Saute until translucent. Add the garlic and saute for 1 minute. Add the white wine to the pan and bump the heat up to medium high. Simmer for 2 minutes. Add the crushed red pepper, olives, lemon zest strips, bay leaf, thyme, and chicken stock, and bring to a boil. Turn the broiler on high, and cook the chicken for 2 minutes to brown and crisp up the skin (watch carefully). Pour the stock and wine into a pot and bring it to a gentle simmer. In another medium pot, heat the butter over medium-high heat and add the minced shallot or onion and a pinch of salt. Saute until it softens and turns translucent. Add the garlic, mushrooms and rice and coat with the butter. Stir often. When the liquid from the mushrooms has evaporated, add a ladle of hot stock to the rice and stir well (I like to use a wooden spoon). The key to making a great risotto is to constantly stir. Think of it as stirring the bottom of the pot. As each ladle of stock is absorbed, add another, then another. At some point, you’ll see that the rice isn’t absorbing the stock as quickly. Keep adding a ladle of hot stock until the rice is cooked through, but still firm. When you reach that point, add the grated cheese and a little more stock. Stir to incorporate the cheese into the risotto. Add the chopped parsley and serve at once with your braised chicken. Ever since I was a kid, pot pies have graced our dinner table. In the early 80s, they came piping hot out of the oven dressed in silver – doughy bowls wrapped in aluminum tins filled with turkey, carrots, peas and possibly a cube of potato or two swimming in milky gravy and topped with a crusty cap. They were delicious. Especially if we got to eat on our collapsible dinner trays (again aluminum) in front of the TV – probably watching “Gilligan’s Island”. I still remember the twang of the trays when they popped into the legs. I think I need to get us some vintage TV trays…hmmm. Pot pies now mean something different to me. They are refuge for leftovers. 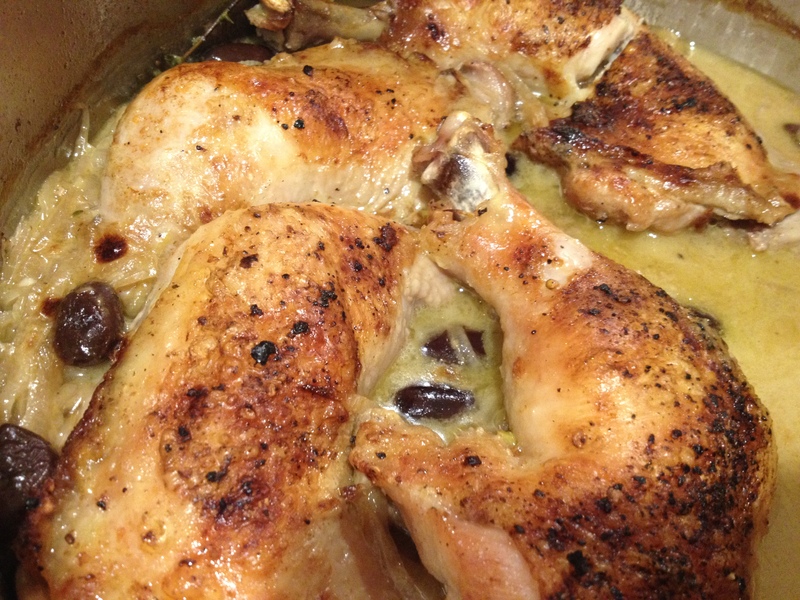 The other night we had roast chicken and saute yellow squash and green beans. We had leftover bacon from breakfast and I had some premade biscuits in the fridge as well. So, the next night when I was looking for something to cook, a family pot pie seemed to be the quickest and most comforting option – sans TV and TV trays unfortunately. Although, it doesn’t have that uniform cap that we’ve come to associate with pot pies, nor the doughy bowl, this recipe captures all the comfort of TV trays and aluminum trays designed for single serving noshing. Preheat the oven per the biscuit package instructions. Saute allium (onion, leek, etc), celery, carrots and garlic in melted butter and olive oil until fragrant over med-low heat. Add thyme and a pinch of salt. Add wine and cook down until nearly evaporated. Add flour and cook for 1 minute. Add milk and whisk until smooth. 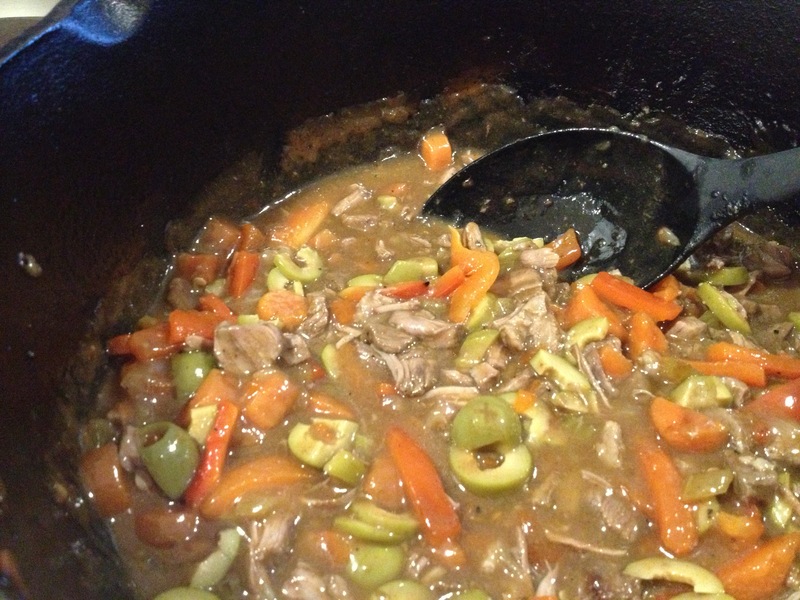 Add leftover meats and veggies and saute over med-low heat for 5 mins. Letting the flavors mingle. (If you didn’t have leftover meats and veggies, add them raw to the mixture now and add 1 more wine glass of water. Cook covered for 20 mins). Pour the mixture into a pie pan. Place the biscuits on the top of the mixture. Pop into the oven and bake per the biscuit package instructions. But keep an eye on it. Don’t let those biscuits burn! Let it rest for a couple minutes before diving into it. The sauce will thicken a bit and it’ll all cool down so you can properly enjoy it. Happy comfort food and a little bit of indulgent TV watching.